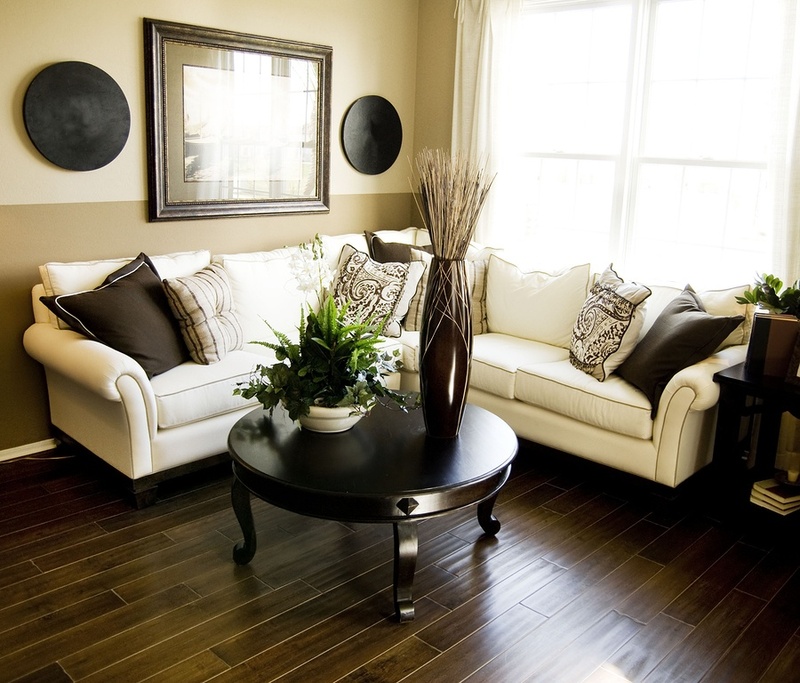 Wood floors lend elegance and style to any home. With so many options to choose from, finding the perfect type for your home is as easy as flipping through a style book. Natural wood flooring can be expensive, however, and it might not be ideal for every situation, as it is prone to scratches and shows wear-and-tear faster than other types of flooring. That's where engineered hardwood comes in. Engineered hardwood is made from several layers of wood rather than a solid piece. The top layer is 100% natural wood and can be made from a variety of species to get the look you want to achieve. The bottom layer is usually wood as well, and the middle section is layers of plywood pressed together in a crisscross pattern. The middle section – or the core – adds stability to the wood, making it less susceptible to damage from moisture, humidity and fluctuating temperatures. The result is a finish that looks almost identical to solid wood, but with added layers of protection for different environments. New flooring is a major upgrade. If you're taking the time to update your floors, you want to know they're going to last. Solid hardwood is known for its longevity, and it can be sanded and refinished many times over its lifetime. On the other hand, it's very susceptible to moisture and temperature fluctuations. Engineered wood can be just as durable, and it can also be sanded and refinished. Plus, the layered construction of the product makes it even more durable, so you can rest assured your new floors are built to last. Engineered hardwood has come a long way from its early days as a cheap, unattractive option for home flooring. Today's products are beautifully crafted to match the high-end expectations of savvy homeowners. Engineered hardwood flooring is just as beautiful as traditional solid hardwood, and it can be more durable. These advantages make it an increasingly popular choice for flooring among homeowners.